Rhonda B. Levy | Littler Mendelson P.C. As knowledge management counsel for Littler in Canada, Rhonda B. Levy is responsible for satisfying the firm's Canadian knowledge management needs, for monitoring legislative, regulatory and caselaw developments, and for drafting and editing publications. Prior to joining Littler, Rhonda was national knowledge management partner at a prominent Canadian law firm where she was responsible nationally for leading and managing its knowledge management strategy and for directing all of its knowledge management initiatives. Previously, Rhonda was director of knowledge management in the Toronto office of one of Canada’s leading law firms. 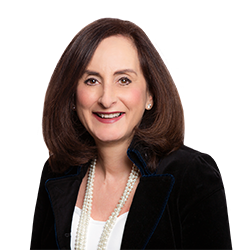 Before becoming involved with knowledge management, Rhonda was a legal research lawyer at one of Canada’s preeminent law firms, where she prepared complex opinions and provided strategic advice to clients and other lawyers within the firm on a broad range of issues. She also prepared legal argument for significant litigation.